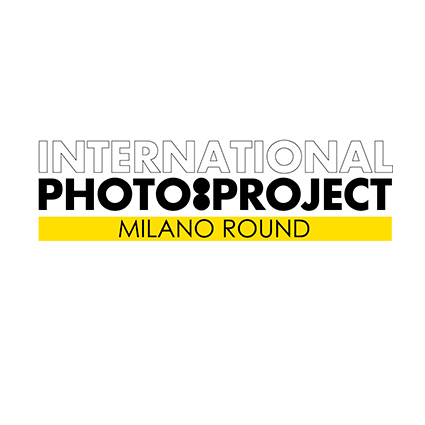 Photos of Alfredo Macchi, with the project War Landscapes, have been selected to become part of the Photographic Fund Malerba and among the 15 Italian artists who will participate at the exhibition International Photo Project. For the exhibition, hosted in the Space Soderini of Metropolitan City of Milan, were the projects of Italian artists have been selected from a committee made up of Giovanna Calvenzi, Alberto Zanchetta, Luca Panaro, Enrico Gusella and Elio Grazioli. In the show the comparison with the scene of art photography in Japan and South Korea. in all its scope both in Italy and abroad, to create a window through which to exploit the emerging talent of Italian photography. Hence the drafting of a competition aimed at gathering projects of artists who want to contribute to the development of the archive itself, screened by a committee made up of Joan Calvenzi, Alberto Zanchetta, Luca Panaro, Enrico Gusella and Elio Grazioli. The artists chosen are: Titian Rossano Mainieri, Alfredo Macchi, Fulvio Ambrosio, Luca Monaco, Claudia Rossini, Luigi Fieni, Marco Introini, Stefano Bossi, Matthew Cyrenians, Marco Piersanti, Enrico Barzani, Patrizia Burra, Emanuela Carone, Patrizia Zelano, Tea Giobbio . 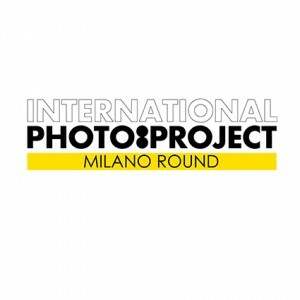 The selected projects, on display at the ‘International Photo Project – Round Milan, are the first works to be the Pictures Digital Fund Malerba, collector of works made since 2001 and held for free consultation by scholars and enthusiasts witnessing effectively in the different and numerous artistic trends that have developed and continue to develop in the Italian photography scene. A landscape that is enhanced in comparison with the schools and the realities of other countries of the world: hence the choice to accommodate artists of other nations. Foreign guests of International Photo Project – Milan Round are the Japanese Yasuaki Matsumoto, Taiju Fubuki, Ryu Ueno, Yoshie Akita and Oki Yasuko, selected by the directors of the gallery Roonee 247photography Tokyo Kanako Sugimori and Toshi Shinoara; with them the Korean Hyun Min Ryu, Ji-Young Rhee, Jang Younggeun, Jeon Rihae, Hwang In Mo, chosen by Myoungju Jung gallery Art Space in Daegu. And ‘1990 when the couple Mila and Alessandro Malerba buying their first photograph initiating that over twenty years become one of the most popular collections of historical and contemporary photography at the national level, raising more than a thousand works of famous authors world-renowned and new protagonists of Italian photography. An extraordinary passion cultivated with great enthusiasm and unconditional dedication, aware, often anticipating the times, that photography would have obtained full recognition of artistic expression like the other visual arts. In 2013, following the untimely death of Mila passion of Alexander it became commitment so that others might benefit from the long and extraordinary experience by Malerba during the years of expansion of the collection. The Fund Malerba for Photography is a structure that is dedicated to the promotion of art photography in Italy and abroad. Initially created for the management of the collection Malerba, now it employs more than that of training, including organizing exhibitions, seminars and publish books. 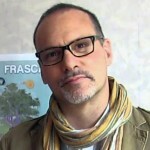 The cultures and the latest trends in the art scene are analyzed and presented to an audience of enthusiasts and connoisseurs, through exhibitions, educational activities and events designed and organized in collaboration with artists, curators, critics and academics from the most important Italian institutions and foreign. Presenting both established artists at the international level that the emerging of the new generation, the Fund Malerba for Photography documenting the variety of approaches and the extraordinary impact force of contemporary artistic photography, without forgetting the immense value that photography has historical It represented to the modern one. Space Soderini, opened in March 2014 by the Province of Milan, now Metropolitan City of Milan can count sull’Auditorium Enzo Tortora and on a prestigious exhibition hall of over 1,000 square meters. It houses more than a year cultural initiatives, shows and exhibitions in collaboration with local associations and Italian and international artists.